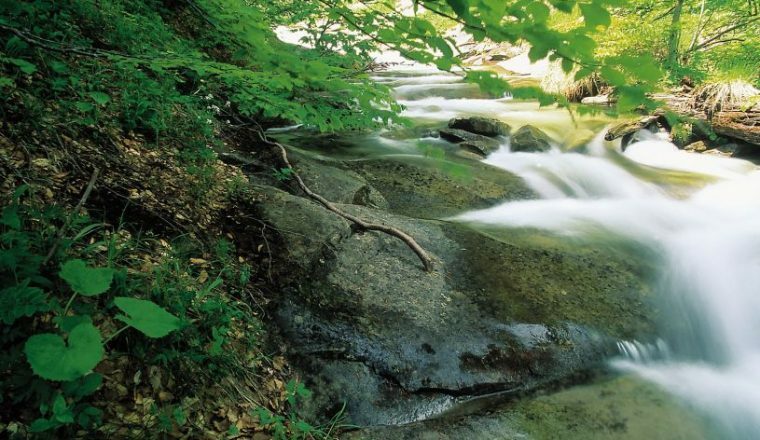 A guided walking holiday among the highest mountains of the entire Appennine range, in the heart of the Gran Sasso National Park. 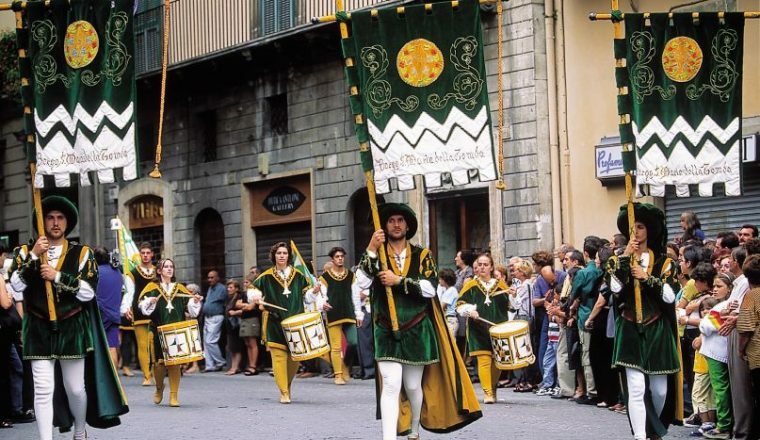 A seven day walking holiday in a unique and fascinating natural environment, together with an ancient culture of medieval villages that has survived intact into our own era. Staying in a small and evocative hotel in one of the villages, leave each day for a maximum of six hours walking, followed by visits to local producers and historic sites. 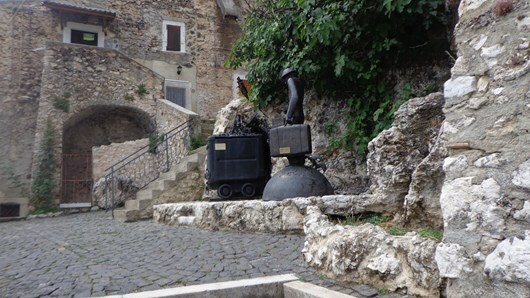 Dinners with typical products in the Abruzzo tradition. £975.00 per person based on 2 people sharing a room. Groups depart with a minimum of 4 people. Double/twin rooms with en-suite/private facilities. Your own dedicated guide for the duration of the holiday. 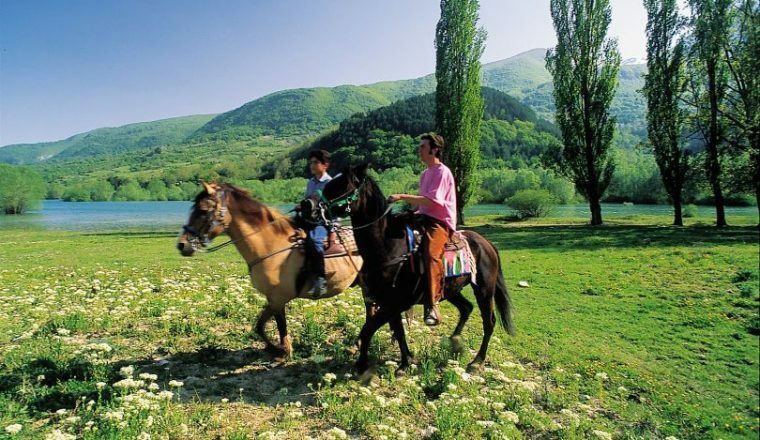 Visit to the to the Museum of Traditions and Transhumance. Dedicated mini-bus for the duration of trip. 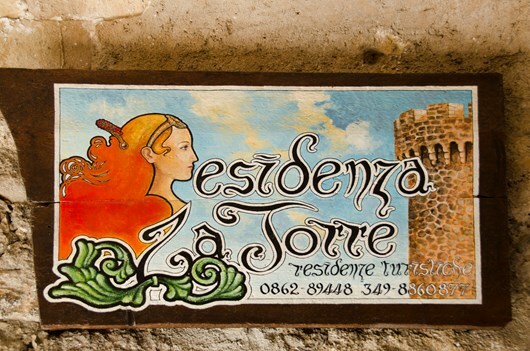 Born in Rome, Lorenzo left in 1994 to live at Calascio, a small village in the Parco Nazionale del Gran Sasso e Monti della Laga (The Gran Sasso and Laga Mountains National Park), on the southern slopes of the Gran Sasso, the highest mountain in Italy outside the Alps.The mountain has played and still plays a vital role in his life. 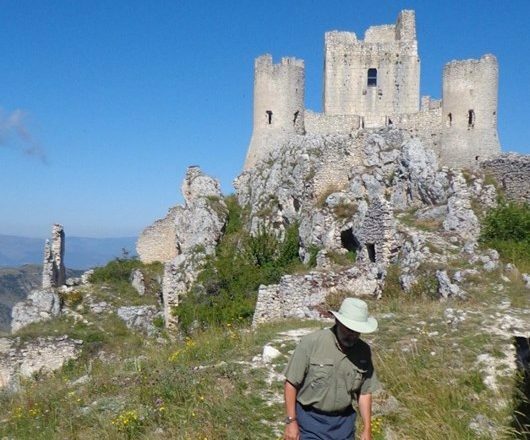 When he was a boy, in summer and in winter he used to take the train from Rome to explore the neighbouring Abruzzo region.Over the years Lorenzo has become a mountaineer, then a manager of a mountain refuge, a custodian of the mountain paths and then a qualified guide in 2005. 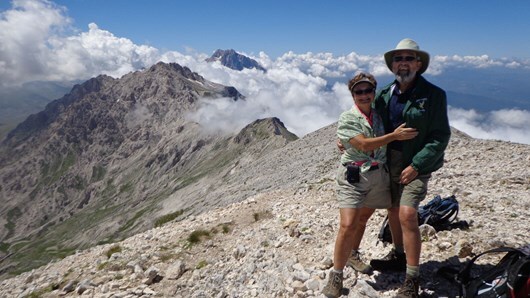 From simple walker, trekker and lover of skiing, he has become an expert in the natural wonders of the Gran Sasso.Today Lorenzo has turned his passions into a profession, with the aim of communicating to others his love for nature and the mountain. 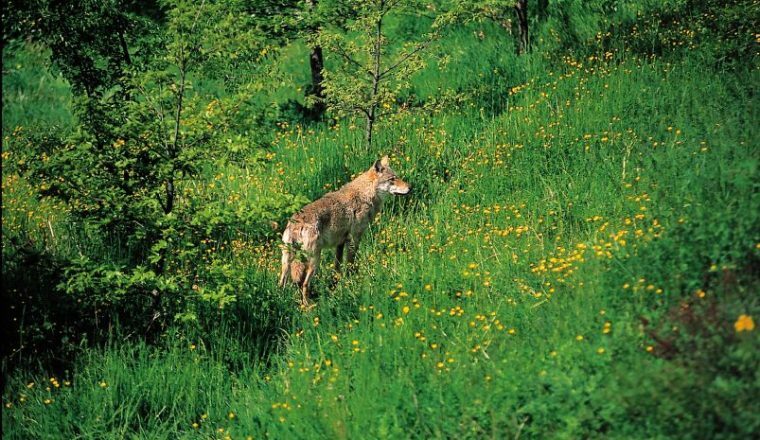 A connoisseur of the Abruzzo mountains, he also knows intimately the Alps, from the Val d’Aosta to Alto Adige, where he often organises treks. Private individual tours are possible on request. 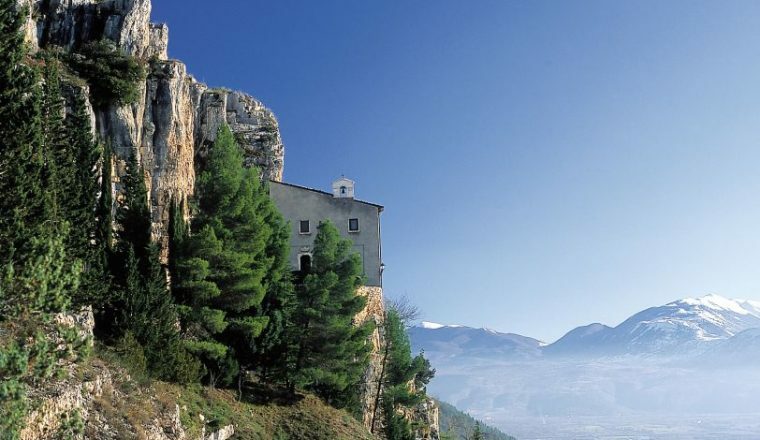 Transfer from the airport at Rome to Calascio in the early afternoon. 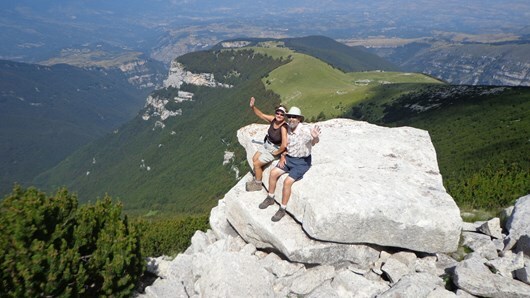 Your guide, Lorenzo Baldi, will go over the itinerary for the week at dinner.Dinner and overnight Calascio. 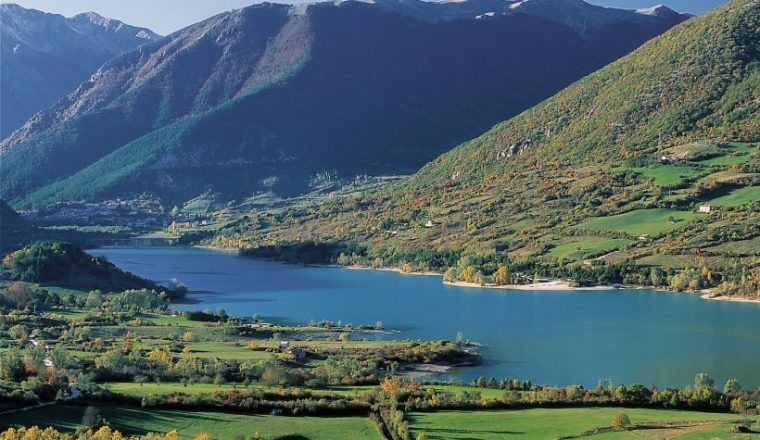 In the morning there is a short transfer by minibus to Campo Imperatore plateau (Lago Racollo). 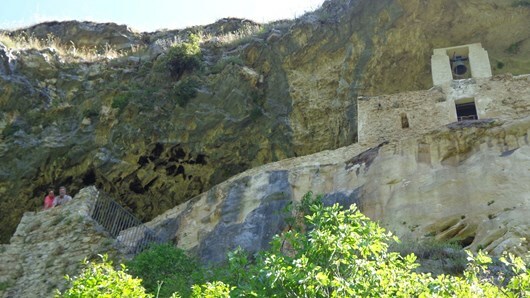 Walk past the ruins of the medieval abbey of Santa Maria del Monte on the way to the village of Santo Stefano di Sessanio.5 hour walk / 300m ascent, 500m descent. In the afternoon visit the village which has now been restored. 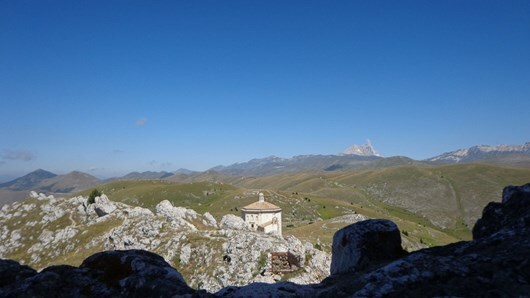 Dinner and overnight Calascio. Another short transfer to Campo Imperatore (Fonte Vetica). 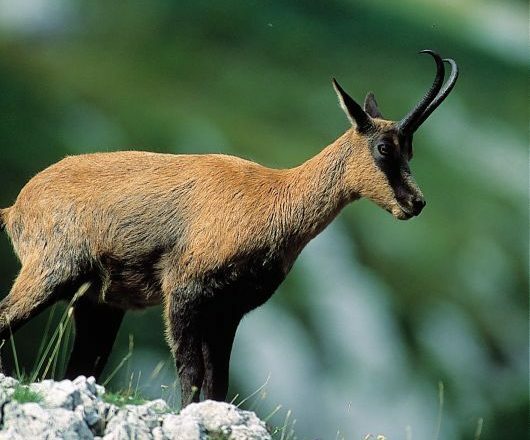 Walk the mountain goats peaks of Monte tremoggia and Monte Camicia enjoying great views to the Adriatic sea and cliffs. 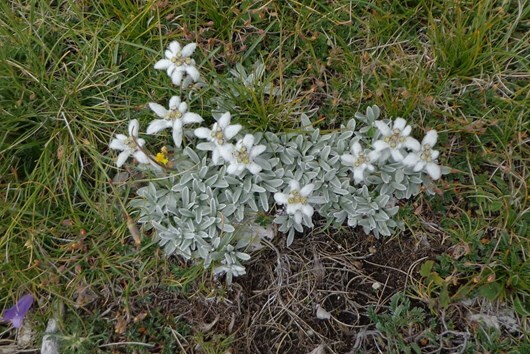 There are plenty of flowers including the Appennine Edelweiss to identify on this walk.6 hours walk, 900 m climb.In the afternoon visit the abandoned village and the Castel of Rocca Calascio – this tower controlled the whole territory during the middle ages.Dinner and overnight Calascio. 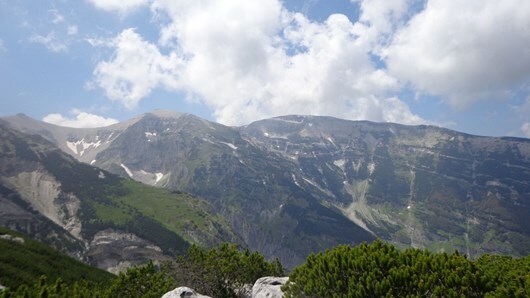 Transfer to Campo Imperatore (2100 m) and from there there is a hike to the highest peak of the Appeniones – the Corno Grande, (2912m) the highest peak in the Appennines. 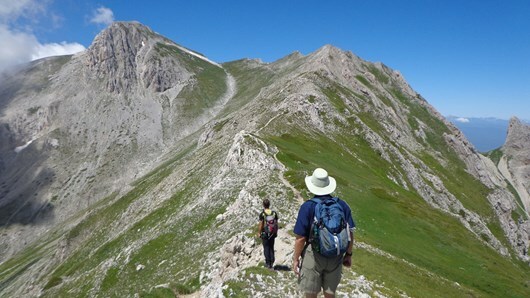 Enjoy spectacular Dolomitic scenery of rocky mountains.6 hours walk, 800 m climb.Enjoy the last dinner in Calascio. 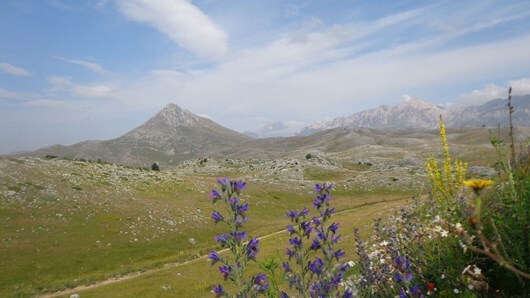 In the morning we leave the Gran Sasso National Park and drive for 45 minutes to the Majella National Park. From Maielletta we hike to the high altitude desert peaks and plateau of the Anfiteatro dell Murelle e monte Focalone (2676 m). This is one of the most beautiful corners of this mountain.5h30 walk, 800m climb.Settle into Hotel for dinner and overnight. 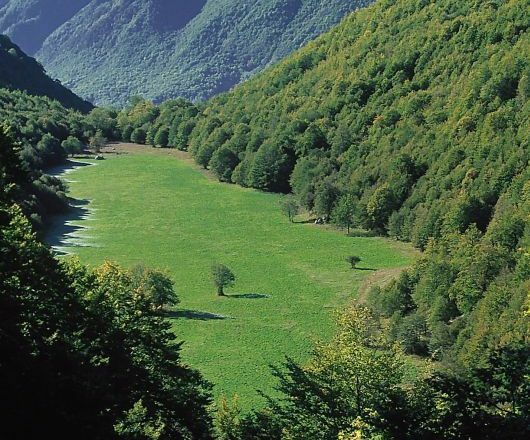 The last walk is one of the toughest climbs in the whole of the Apennines – the direct route to the top of Majella: Monte Amaro, at 2793m, is the second highest peak in the Apennines.1500 m climb, 7 hours walk. 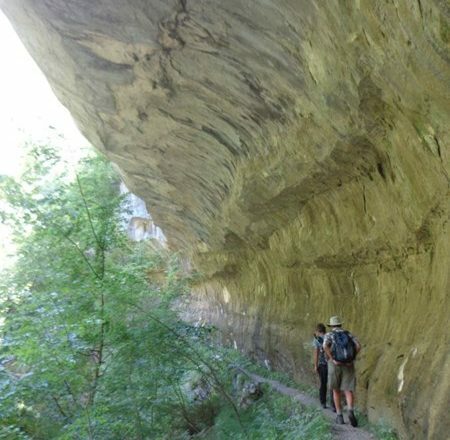 Or take an alternative walk along the wild canyon of Orfento. 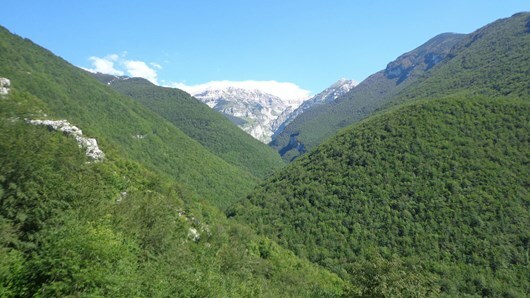 This unique deep valley with a river inside the Majella’s Mountain includes different levels of vegetation and different species of autochthonous flowers. 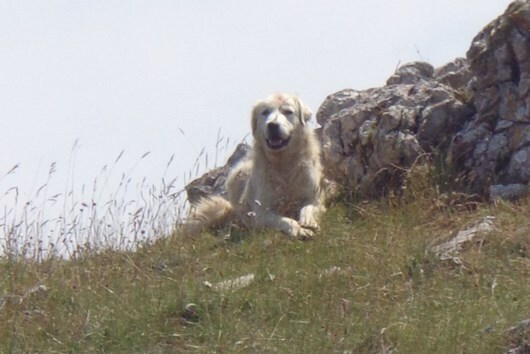 5h walk, 600 metres climb. 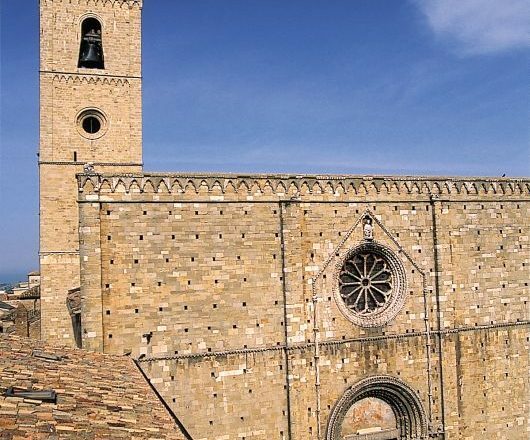 In the afternoon visit the local anthropology museum before returning to our hotel for a farewell dinner. Transfer to Rome airport in the morning.